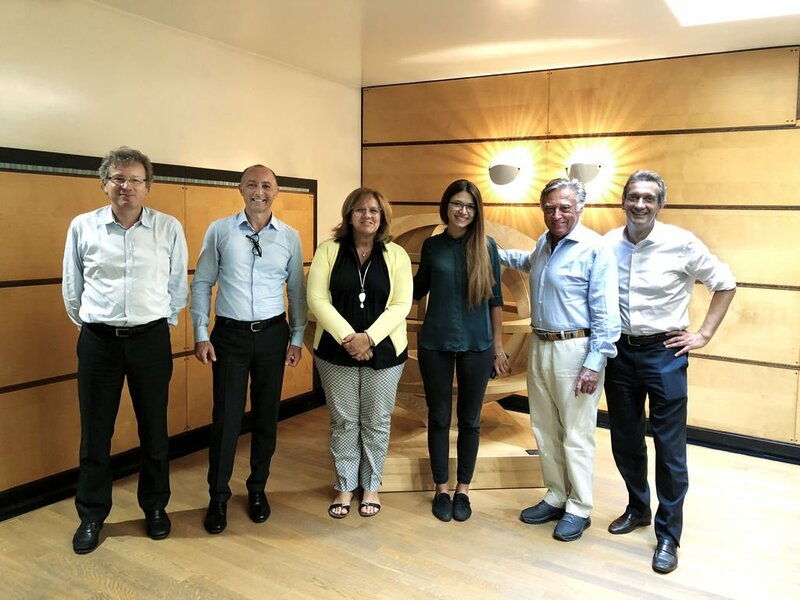 Ms. Denise Dujmic, a young engineer at the Scm Group Innovation Office, was welcomed by Management personnel who thanked her on behalf of the entire Group for her excellent work on the Onda Solare (Solar Wave) project. President Giovanni Gemmani, CEO Andrea Aureli, Board Members Linda Gemmani and Alfredo Aureli, and General Manager Marco Mancini thanked Denise for her strong commitment and dedication especially during the American adventure of Emilia 4, the solar-powered car designed and built by the University of Bologna with the support of Scm Group, the project's principal industrial partner. Denise was involved in the project since its earliest steps. She represented the Scm Group Team that cruised to victory at the American Solar Challenge (from 6th to 22 nd July), the most prestigious solar-powered car race in the world. During the American adventure, Denise offered great support to other members of the University of Bologna: day by day she helped to resolve technical and logistic problems, that could easily occur since this “special” car was tested for the first time on the road just a few weeks after its official unveiling at the Ferrari Museum in Maranello, on 11st June. “My motto is Where there is a will, there is a way,” says Denise in an interview to be published in the next issue of the Rimini weekly Il Ponte, in which she describes her American adventure. May Denise and Emilia 4 always walk the glorious road to success!